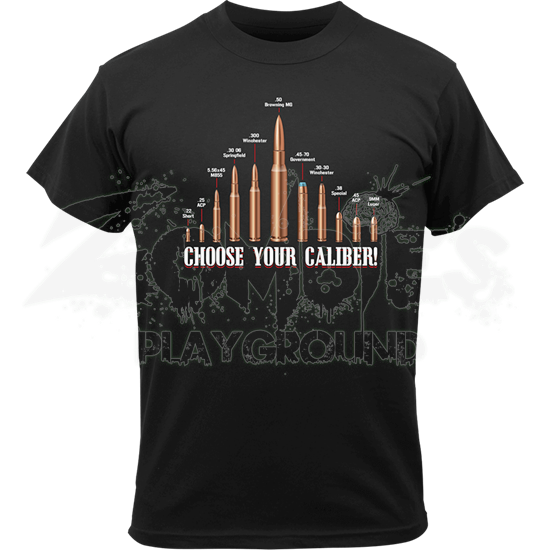 The beauty of firearms is that there are so many different types to choose from and the Vintage Choose Your Caliber T-Shirt shows that. This item is as comfortable as it is original and depicts various calibers that can be shot. Made with a cotton polyester blend this t-shirt has a tagless neck label for true comfort. The chest has a detailed graphic of several rifle rounds and their relative size to one another. It is like picking a new ice cream flavor for gun enthusiasts when they see so many different bullets lined up beside each other. Below the image there is the fun phrase, CHOOSE YOUR CALIBER. 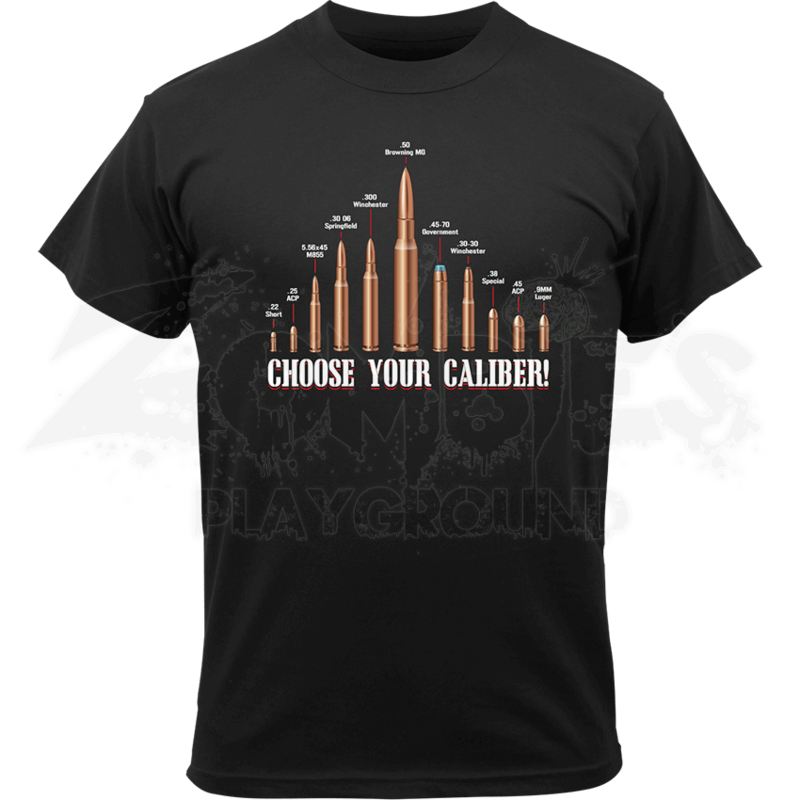 Upgrade your wardrobe and take a chance with the stylish Vintage Choose Your Caliber T-Shirt, which will be admired by your friends.